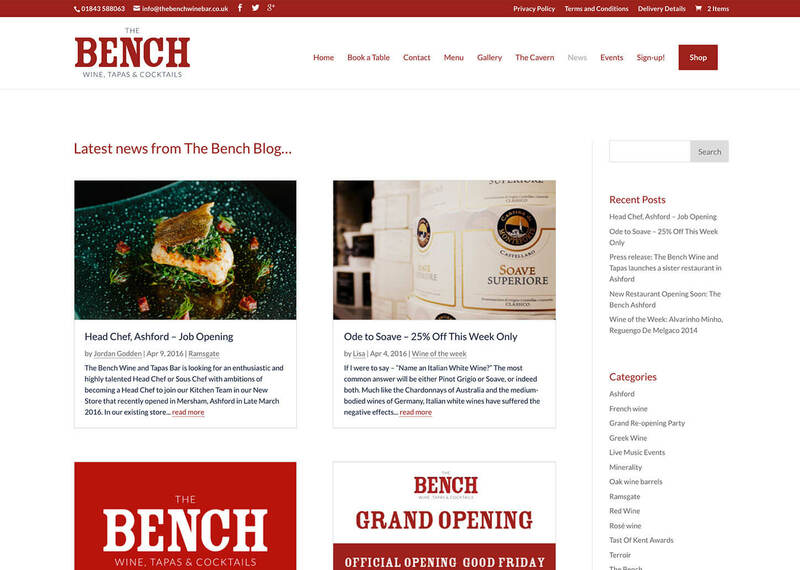 This was a three stage restaurant website design project. 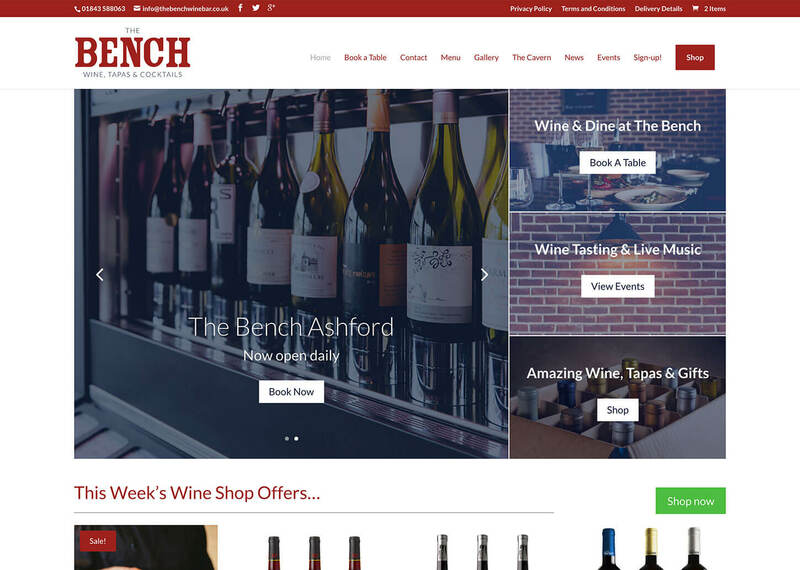 It involved an initial website build for The Bench Restaurant and Wine bar based in Ramsgate followed by the integration of an online shop to retail exclusive wines, Champagnes and tapas items. 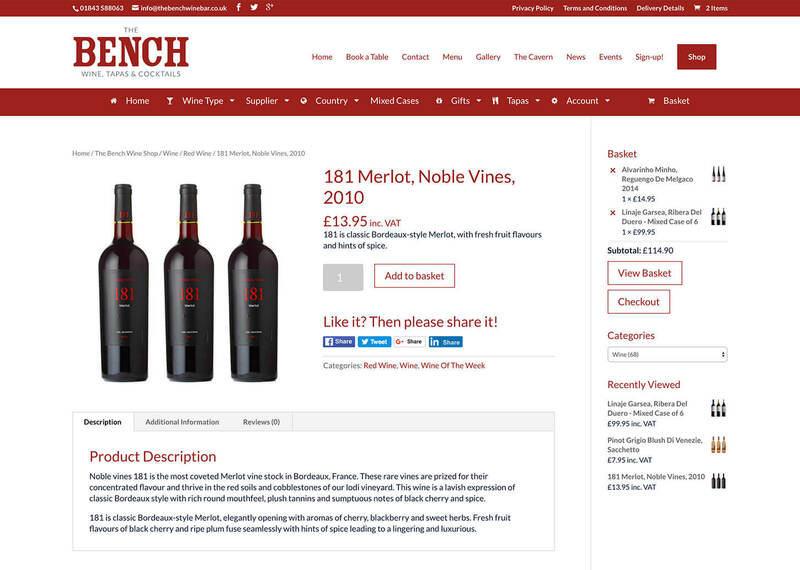 We’d already worked with the owner on several branding projects. 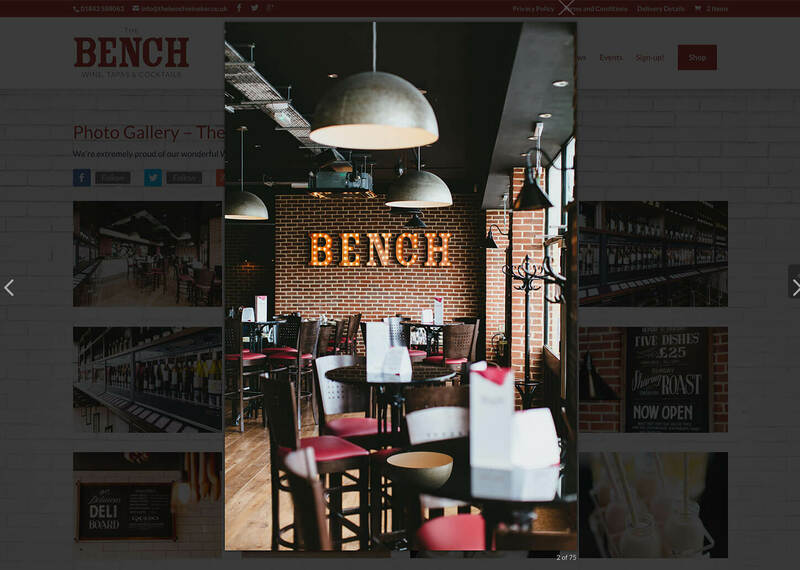 The Bench Restaurant was to be a new venture, serving Tapas style dishes and cocktails to the East Kent locals and visiting tourists. 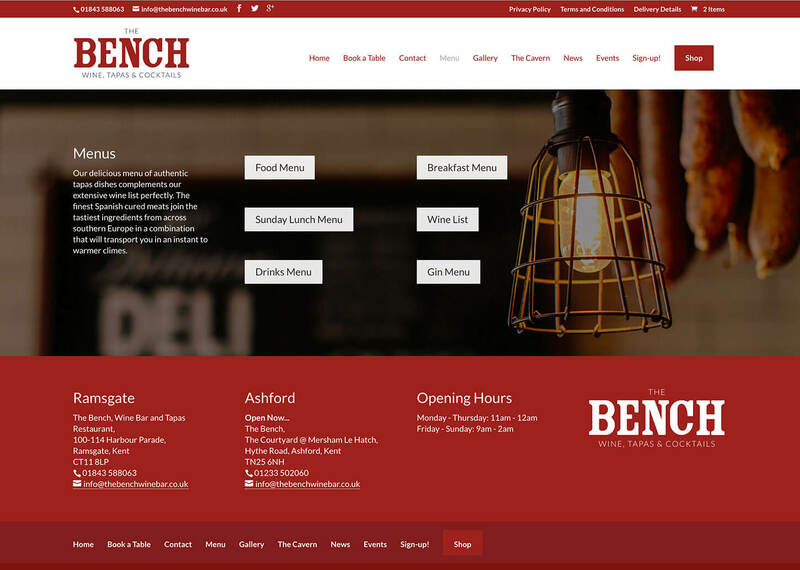 With the branding, photo shoot, menus and advertising completed, the website was the final item to be completed. 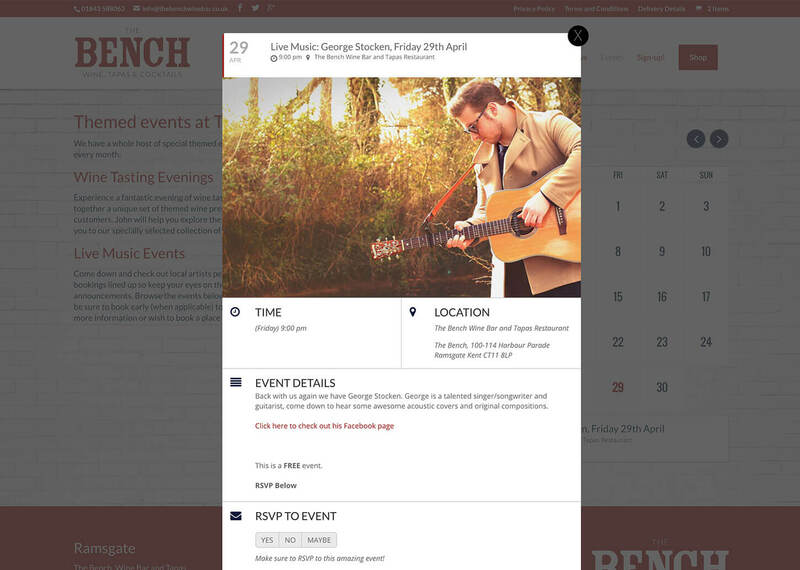 The client wanted a modern website that would make best use of the photography we’d commissioned. 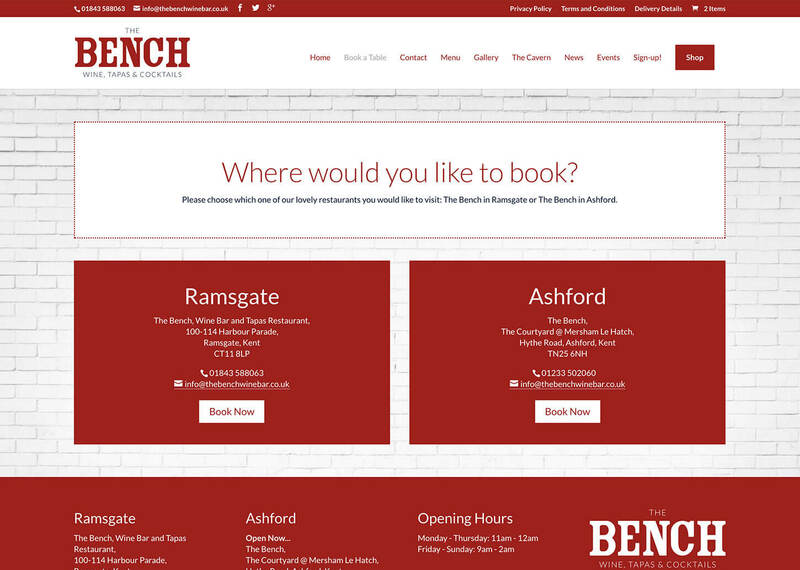 We installed an image gallery and hooked up the website to a booking facility preferred by the owner. An events calendar was also included. 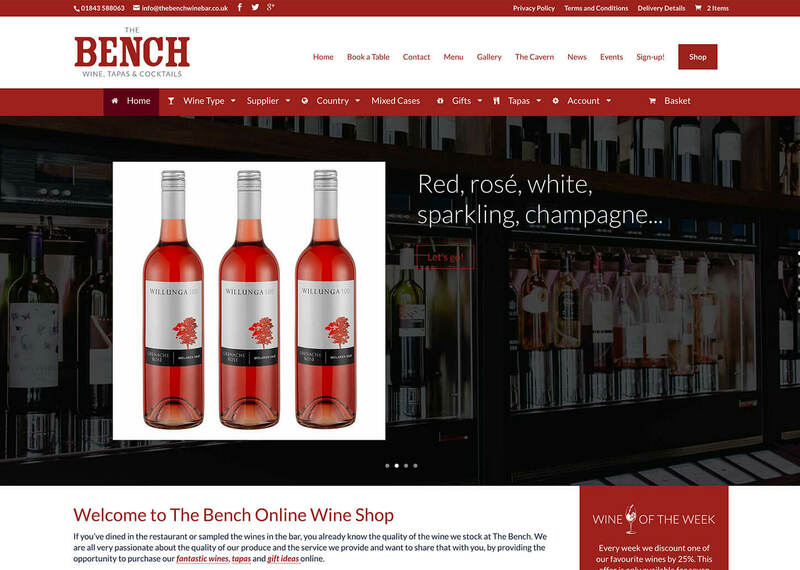 This website launched and was quickly followed by an online web shop which we seamlessly added to the current website in the form of a woocommerce shop. 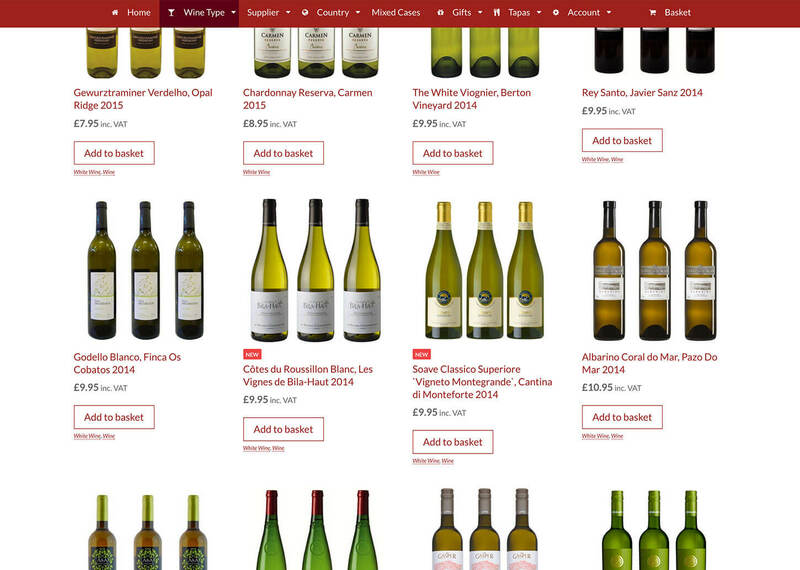 The client, had a small selection of tapas products and a great selection of wine amounting to about 100 products so woocommerce was ideal for this.